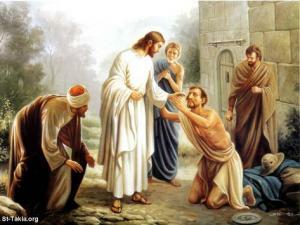 “Who, me?” — “Yes, you!” Jesus says as he sends out 72 followers to heal and preach the Kingdom. The miracle stories in the Bible include legends and some amazing deeds of power that Jesus did perform. They are not about a few past events that challenge our scientific ingenuity to explain. They are about this world that we live in. Miracles tell us what this world is like and give us hope for what it can be. Eleventh in the series “Stories of Jesus and the Character of God.” In this series I probe what historical Jesus scholars can say about the humanness and the earthly career of Jesus. Beyond that historical research cannot go. The ultimate objective is to let this Jesus reveal the character of God. Contents and links to other entries in the series here. John Dominic Crossan has made a study of the phenomenon of miracle in various cultures. (Especially in The Historical Jesus: The Life of a Mediterranean Jewish Peasant, e.g., p. 157) He concludes that working miracles is a subversive activity. It shows God acting independently of the “Powers that be.” Such powers often feel threatened by the miraculous. They’re not as much in control as they like to imagine. In Jesus’ time and place, the human powers consisted of the Romans and, in their subordinate place, the Jewish leaders. A cadre of bureaucrats, including tax collectors, would have had interests pretty much aligned with these. Jewish leaders didn’t see eye-to-eye with the Romans, but just like them they wanted to keep things running smoothly. Existence under Roman suzerainty was tolerable enough for them. From that point of view, too, any figure with an excitable following could be a threat. People in general hated the Romans. Then Jesus comes along stirring people up by, among other things, working miracles. That was not a way to keep things running smoothly. Power operating outside the influence of Rome was just what an excitable crowd was looking for. No one doubted the miracles themselves. What interpretation to lay on the miracles was another story. Was Jesus doing the work of God? 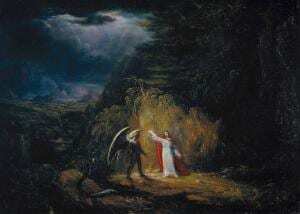 Another theory appealed to some scribes: “By the power of Beelzebul, the prince of demons, he drives out demons.” (Luke 11:15) That Beelzebul, in scribal thinking, would also be the prince of civil unrest and likely violent repression by the power of Rome. 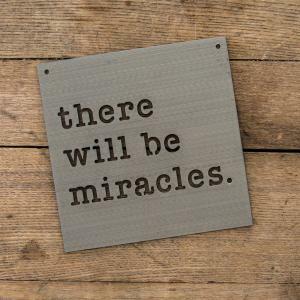 In other words, these miracles that you see are signs of what’s happening all around you. 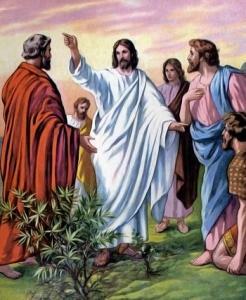 Jesus’ confidence was not so much in his followers or even his own power but in the Kingdom of God. I guess curing sick people wasn’t such a big deal. Ordering demons around, that’s something to get excited about. But the scribes might have felt something different. They could feel whatever limited power they had slipping away. Jesus’ miracles were signs that God’s rule was already making itself felt in the very territory of the Powers that Be. Pretty soon nobody will be able to exercise power over anybody else. There might not be any point to having power anymore. Or … just do away with the rabble-rouser Jesus.